"I can say that we are not very optimistic about this plan. It is true that we are not familiar with the content but the main ideas are clearly based on the recent decisions taken by the US administration. We have some information that this plan does not have any incentives to two states solution, so we are not very optimistic," Faed Mustafa said. The ambassador criticized the United States for using only feedback from Israel to draft the plan. "The United States coordinates the elements of the plan only with the Israeli side, and from our perspective, no agreement will succeed if it does not address the Palestinian issues," he said. However, the ambassador did not proclaim the plan dead on arrival, pointing out that Palestine would wait until the document is revealed before making its final decision. "If it is built on the UN resolutions and international legitimacy, we may accept it, if not, it would be rejected for sure," he explained. US Vice President Mike Pence said earlier this month at the annual conference of the American Israel Public Affairs Committee that Washington was working on the plan to settle the long-standing territorial dispute between Israel and Palestine. At the same time, Israeli Prime Minister Benjamin Netanyahu reportedly said last week that the US administration did not have a fully developed plan yet. The White House will convene a meeting on the humanitarian situation in the Gaza Strip in Washington on Tuesday, but Palestine has refused to participate in it. The main goal of the upcoming White House conference on the Gaza Strip crisis is to improve relations between Israel and Arab states, but they are unlikely to get better until the conflict with Palestine is settled, Palestinian Ambassador to Turkey Faed Mustafa said. "Some invitations [for the upcoming conference] have been sent to other Arab countries and the Israelis were invited too. This is an attempt to normalize relations between Israel and the Arab states and then to find a solution to the crisis. From our perspective, there could be no normalization of ties before the final solution is reached," the ambassador explained. Mustafa added that Palestine would not participate in the conference scheduled for Tuesday as the US administration ignored the fact that the real problem for Gaza was Israel's blockade. "We have already received an invitation and we said clearly that we were not going to the White House to participate in the conference on the humanitarian situation in Gaza because from our point of view, it is clear who was causing this humanitarian crisis. Israeli blockage has been the cause of it for 11 years. If Americans are serious they can just make small pressure to stop blockage," Mustafa said. Israel explains the blockade by the need to protect its citizens against terrorist attacks by preventing weapons from entering the Gaza Strip. For decades, Israel has been in conflict with the Palestinians, who have been seeking diplomatic recognition for their independent state on the territories of the West Bank, including East Jerusalem, and the Gaza Strip. The two-state solution stipulates the existence of an independent Palestinian state alongside Israel. 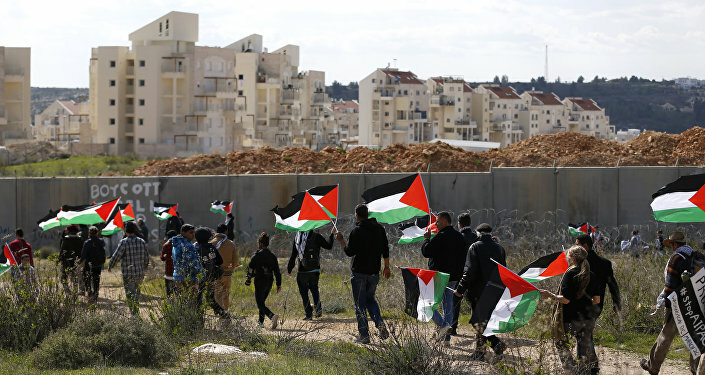 The Israeli government refuses to recognize Palestine as an independent political and diplomatic entity and continues to build settlements in areas claimed by Palestine, despite objections from the United Nations. Over 100 countries — including most states outside Europe and North America — have recognized the State of Palestine. Last year, the United States announced the decision to move its embassy in Israel from Tel Aviv to Jerusalem, thus recognizing the city as the capital of Israel. The move was condemned by Palestine.